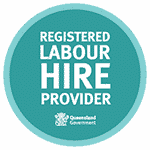 Household Name in Not For Profit Sector - Zelda Recruitment & Job Agency | Brisbane | The best jobs in Queensland. A household name in the not-for profit sector, our client is based in the outer suburbs and has recently undertaken a massive realignment project. Working in conjunction with the Human Resource team, Zelda was required to source highly skilled consultants to assist in review of areas such as payroll and finance and in addition, source temporary project administration. We identified and placed a number of high level consultants. Notably we were able to offer our client solutions well below their budgets as our client initially expected these assignments to be undertaken by the top tier professional services consultancies. The fact that our not-for-profit client was able to have high calibre expertise at a fraction of the cost was of great value to them. Working with the team at Zelda is not a new experience, as I have enjoyed a long -term relationship over many years in various roles. What impressed me in recent times is their ability to identify hard to find specialists. It supports my long running belief that Zelda maintain a superior database of candidates and understand how to quickly source and identify the perfect candidates.